I loved seeing the beautiful picnics in the movie 'Emma' (1996) and 'Sense & Sensibility' (1995). 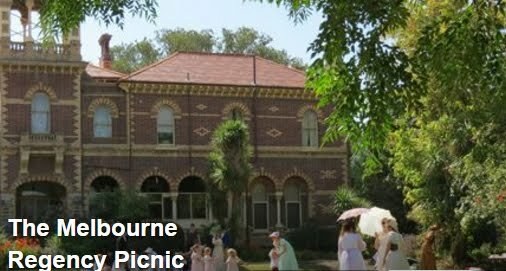 After much thought I decided many months ago I wanted to hold a Regency picnic and then the picnic to be held annually. So before a picnic is to be held, one needs garments! 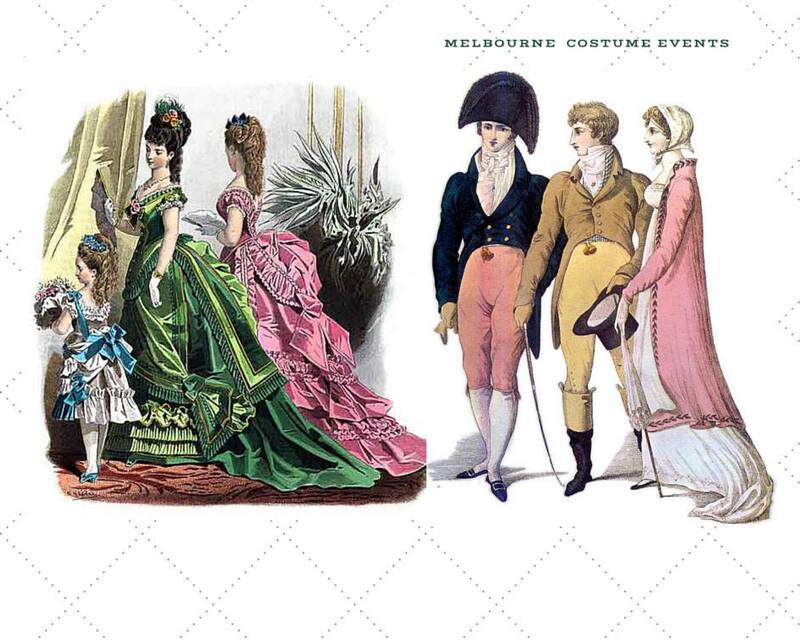 Dr. G, my husband needs a full Regency ensemble. 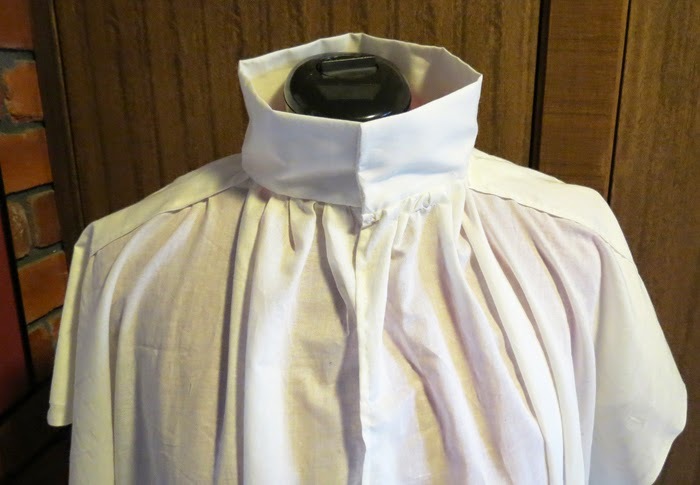 So to start at the beginning and the easiest of the patterns - the regency shirt. 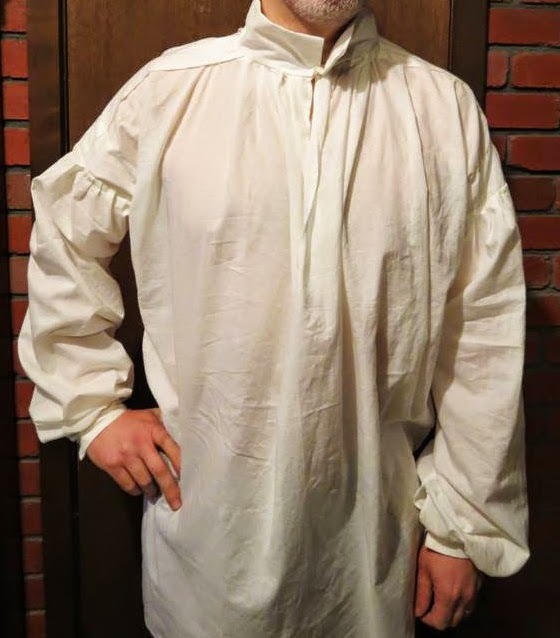 I'm not an experienced costumer, so this Kannik's Korner Regency Shirt was perfect to begin with. The 16 page instruction booklet explains in utmost detail what materials one needs, diagrams explaining how to layout the pattern on the fabric, also a complete step by step instructions on how to construct the shirt. Overall I was very pleased how this pattern turned our. My husband said it is very comfortable to wear. I rate this pattern 9/10. I am a self taught costumer and graphic designer, who loves to create on the humble sewing machine and computer. I love design, historical costuming, history, crochet, Regency, France, UK and science fiction. Visit Beky's profile on Pinterest.